We supply a range of Magnetic Calendars. Self adhesive magnetic upper notepad to adhere your own business card. Creates a personalised promotional item. (Business Cards not included) 40 sheets per pad. Want to be remembered! Excellent value for money! All pads are printed black on white 90 gsm stock . To view how it works, hit that button below! To view more samples click here. Self adhesive magnetic top to stick your own business card, to create a unique personalized promotional item with very low cost. Click here for more of our Promotional Magnet Ideas. 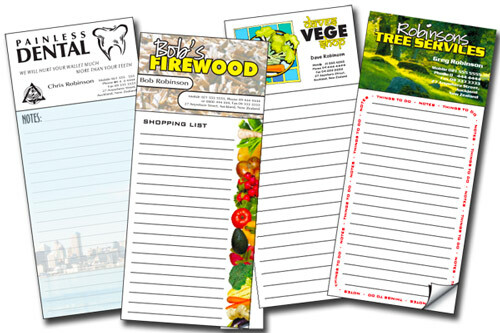 They have a self adhesive magnetic upper to adhere your own business card to, creating a personalized promotional item. (Business Cards not included). 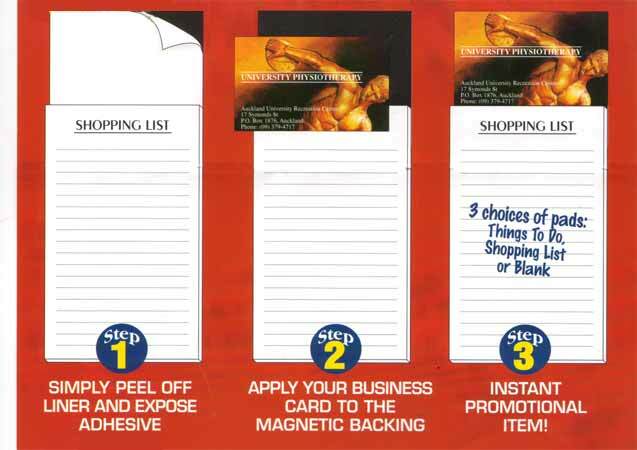 You simply peel off the self adhesive liner and place your card on for an effective marketing tool.